Q: How do I submit my book/magazine/audiobook for review in Locus, or listing on your site? A: See our Review submission guidelines. Also contains information about inclusion in Forthcoming Books and People & Publishing sections. Q: Where’s my issue? Your website says it was mailed last week. A: Every month a few copies of the magazine get delayed by the postal service. Please wait another week or two, and chances are it will show up. If not, contact Locus at locus@locusmag.com. Q: I have a question about my subscription/want to change my address or email. A: Digital subscribers: Click on My Account on the top menu and sign in to your account. More specific answers to questions about digital issues can be found there also. Print-only subscribers: Fill out our change of address form here, or send an e-mail to locus@locusmag.com, or phone the Locus offices at 510-339-9196. Q: How do I submit news to Locus? Is there a special contact or e-mail address? A: Send an e-mail to locus@locusmag.com. There’s no separate e-mail address for news. Q: Where are your rates for advertising in the magazine or on the website? A: Here! Also, you can call us at 510-339-9196 to find out about our current promotions. Q: I saw an article or photo in your magazine, but can’t find it on your site; where is it? If you’d like to purchase scans of content from past issues, please email or call our office. Scans are available at $5 for the first page and $2 per additional page. Q: Where can I purchase the magazine? A: Online here, or at a real brick-and-mortar bookstore here. Q: Why isn’t more content from the magazine available on the website? Do you plan archives of book reviews or other material? A: As of early 2017, plans are under way to make all magazine content available on the site, for subscribers, with a limited number of posts each month available to non-subscribers. Q: Would Locus Online be willing to exchange links with my site? A: Locus Online is happy to consider websites for inclusion on our Links pages, but we have no special arrangements for ‘exchanging’ links. You are welcome to link to Locus Online from your site, and we will link to your site from Locus Online if we feel your site would be of interest to our readers. Q: May I submit my story or book for publication by Locus? A: No. Locus does not publish fiction. You should submit your story or novel to a suitable magazine (see Links Portal) or publisher (see Publishers). It’s best to become familiar with what they publish before you submit your work to them. Q: May I submit an article / a review / artwork to Locus? A: Locus Magazine is not an open market for freelance work, however pitches for articles are accepted on rare occasions and may be sent to locus@locusmag.com. Q: How do I purchase a book I saw listed in your index? A: Locus doesn’t sell books listed in our indexes; the Locus Index is a bibliography, not a catalog of items for sale. To purchase books listed in the Locus Index or anywhere else, consult our Booksellers page for links to dealers of new, used, and out-of-print books. What genres does Locus review? We review science fiction, fantasy, horror, speculative, surreal, slipstream, crossed genres, similarly themed YA, art books, and related nonfiction that is published or being published. If in doubt, send it in. As a rough age guideline, we cover titles appropriate for ages 14 and up. We rarely cover middle-grade and are not likely to cover anything younger. We cannot guarantee coverage of any individual title – but send it in and we’ll take a look! For a free sample issue, see our subscriber portal. For review consideration in Locus magazine, best practice is to mail in ARCS or proofs (pre-publication preferred) followed by a finished copy when available. Please note that we cannot guarantee coverage; but we can’t cover what we don’t receive. If no ARCs/ proofs are available, we recommend sending in two finished copies, one for listing (see below) and one for review consideration; titles not reviewed from ARCs are occasionally picked up on receipt of finished copy. Print submissions of advance copies are strongly preferred. eARCS can be uploaded at tinyurl.com/locusarc but again, print is encouraged and preferred by several of our reviewers. To get your title listed in the magazine in our Books Received section, as well as considered for our monthly New & Notable lists and our Annual Recommended Reading List, please mail in at least one finished (final) physical copy. Only finished print copies are generally considered for these lists. If you do not send review ARCs, please send at least two finals – one for listing, one for potential review. We list magazines, newsletters, and more, as well as reviewing individual magazine issues in our short fiction columns. Short fiction reviewers receive content directly; see contact info below. For listing consideration, as well as potential inclusion in our annual Magazine Summary, please mail in at least one copy of each issue to the physical address above. For digital only publications, send digital issues to locus@locusmag.com subject line: For Listing. We select a handful of covers to accompany our magazine listing. Emailing accompanying cover images greatly increases the chances of your cover being selected. Covers can be sent via email as attached jpeg files (300-350 dpi). For magazine review consideration, we recommend sending issues to each individual reviewer. Please note that we cannot guarantee coverage. In each issue we list audiobooks received. For listing, send in physical audiobooks to the above address. For review consideration, contact us at locus@locusmag.com. Every three months, Locus publishes a full list of forthcoming titles from US and UK publishers. These are some of our bestselling issues. Booksellers, bookbuyers, librarians, collectors, and readers use these lists to plan their buying schedules far in advance, and they’ve let us know how eagerly they await this information. For consideration in our quarterly Forthcoming Books section, please send your production schedule with a list of the science fiction, fantasy, and horror books, both new and reprint, including: Title, Author, Publication date, Genre, and Format (hardcover, trade paperback, paperback, ebook; please list original ebooks, and include “eb” or “ebook” with any other print formats being published). Please list reprint titles as well as first editions – it’s helpful if you mention they are reprints. If you are publishing novellas as well as full-length books, please indicate which are novellas. We recommend checking with us about deadlines beforehand. 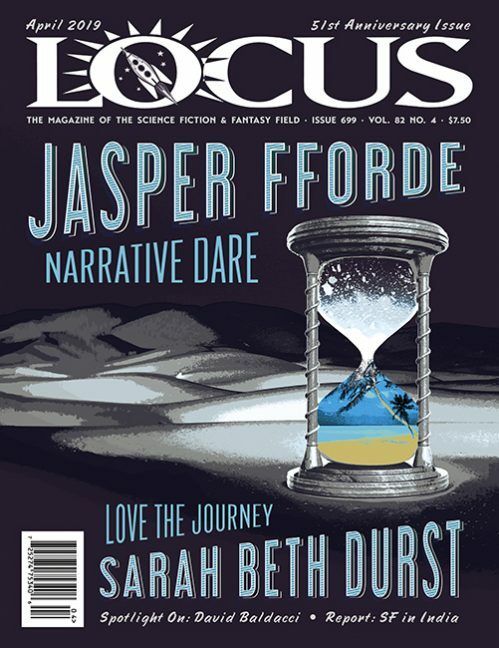 Please email locus@locusmag.com subject: Forthcoming Books to send in your schedule, to query about Forthcoming Books, or to check deadlines. We select a handful of covers to accompany our Forthcoming Books list. Including accompanying cover images greatly increases the chances of your cover being selected. Book covers can be sent via email as attached jpeg files (300-350 dpi), or sent to us through file transfer or on disk. 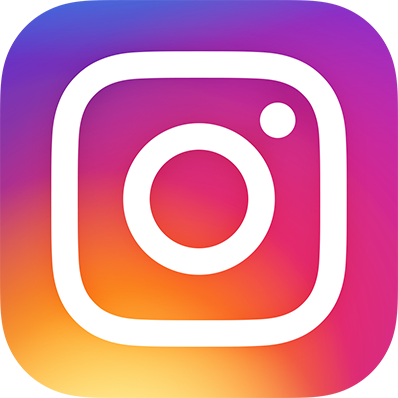 We publish industry news and announcements, from sales announcements to notable weddings to awards and more. Email press releases, notices, news, awards info, sales announcements, and so on, to locus@locusmag.com subject line: People & Publishing. Advertise today: Run a color ad for under $300, online or in print! Locus Ad Rate Card #24.